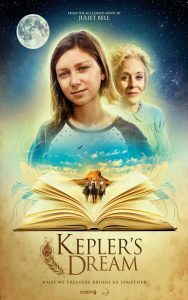 I had a chance to screen a new film from Leomark Studios called Kepler’s Dream (2017), which was named Audience Favorite at the Mill Valley Film Festival (2016). Amy Glazer, director of Kepler’s Dream, has been leaving her mark in the entertainment world by turning plays into movies. Glazer’s feature film debut was Drifting Elegant (2006), which was based on Stephen Belber’s play Drifting Elegant. Now, Glazer has put her talents to work on Kepler’s Dream, which is a feature adaptation of the hit young adult novel Kepler’s Dream by Juliet Bell (2013). Kepler’s Dream is an adventure/family/drama with a running time of eighty-eight minutes. It’s directed by Amy Glazer and written by Sylvia Brownrigg, Sedge Thomson, Ann Cummins, Amy Glazer and Vijay Rajan. The story is about an eleven-year-old girl named Elle that has to go stay with her grandmother for the summer in New Mexico because Elle’s mother is going in for chemotherapy. Thing is, Elle has never met her reclusive grandmother before this. Between her grandmother’s strict rules and worrying about her mom, Elle is having a pretty hard summer. The summer soon goes from bad to worse when one of the grandma’s priceless books goes missing from her collection. Elle knows the man accused of taking the book is innocent and sets out to prove it. When I read the description of the movie I knew it was going to be a warm-hearted movie, but I wasn’t expecting it to actually get to me, which it did. Between the family drama, mom’s illness and Elle’s journey, Kepler’s Dream gives plenty of reasons why you be wiping your eyes throughout the movie. There’s a few turns in the story that I didn’t see coming and when they hit it added quite a punch to the story. Now, I’ve never read the book so I don’t know what all was changed, but as far as the movie goes, I liked it. The playthrough has a good pace that keeps you hooked the entire time. Right off the bat, the story kicks you in the feels and lets you know you settling in for a tear-jerker. Something else I liked about the story was that it wasn’t just a sad mom’s sick story. It’s also about working through family problems together mixed with a bit of a fun detective adventure. Now, keep in mind that this is a young adult movie and it has kind of a Lifetime channel movie feel to it. So, it may not be everyone’s cup of tea, but worth checking out to see. Some of the cast is Isabella Blake-Thomas (Once Upon A Time), Sean Patrick Flanery (The Boondock Saints), Kelly Lynch (Road House), Holland Taylor (The Truman Show), Steven Michael Quezada (Breaking Bad), Esperanza Fermin (Kepler’s Dream) and David Hunt (Mom’s Night Out). 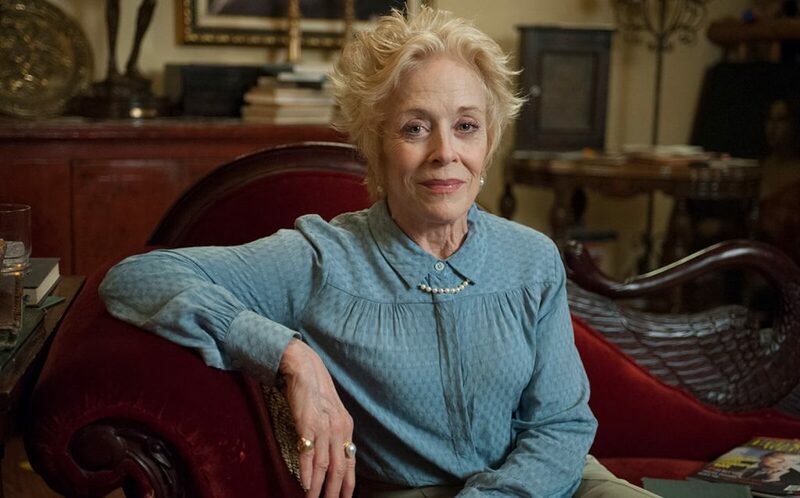 As far as the cast goes, I thought everyone did a good job, but Holland Taylor, hands down, was my favorite. Taylor does such a great job with her character, Violet von Stern (the grandmother) and owns every scene she’s in. Sean Patrick Flanery doesn’t get a lot of screen time, but he makes the most of every scene he’s in. I was impressed with Blake-Thomas’s performance and I could see her doing really well in the entertainment world with a bit more experience behind her. Side note: In case you find yourself wanting to watch a warm-hearted tear-jerker, Kepler’s Dream hits theaters across America and on InDemand December 1st, 2017. Summary : This is a good movie to throw on with the family, but make sure the tissues are close by.